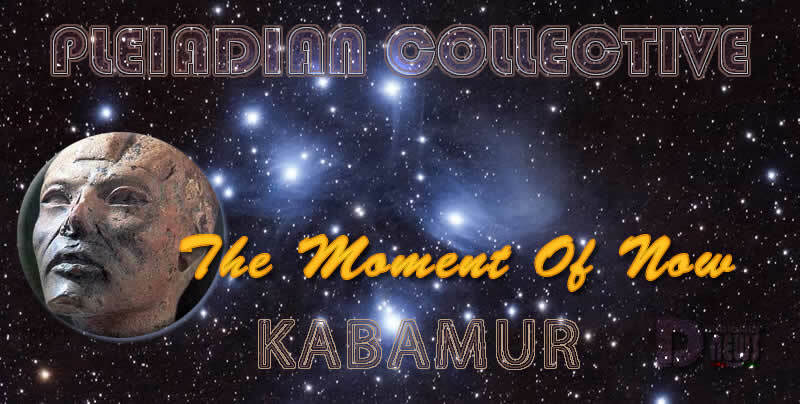 The Moment Of Now – Pleiadian Collective. By Kabamur Taygeta. Beloved Ones Of My Heart! I Feel All Hearts That I Meet. What I Realize With The Love Connections Daily, Is That We Are Meeting Again And Again. The Higher Self Has Planned These Meetings As Nothing Is Random And All Is Connected. The Brain That Is Functioning As A Conduit For Consciousness Is Not Capable Of Remembering All Interactions That Have Been In Multiple Life Stories Or Waking Dreams. Think Of Your Soul As Living In Consciousness Rather Than Consciousness Being A Small Aspect Of You. In Truth, Your Whole Essence Is Living Consciousness As You Live In The One Source Of Creation. You Can’t Lose This For It Is Who You Are. You Have Been Gifted With Free Will And Your Choices For Dreaming Are For Purposes Of Exploring And Going Deeper In Soul Connections As Well As The Many Adventures Chosen With Soul Groups And Galactic Families. Many Are Awakening To Remember Other Souls. Many Are Feeling Joy And Uplifted As The Realization You Have Never Been Alone. All Of The Perceived Moments Of This Dream Are Gone. Can You Find A Dream? Is It Memory Now? Was It Real? We Offer You This. You Carry All Memories And Soul Lives In Your Heart Chakra. These Are The Akashic Records. At Moments You Will Feel A Sudden Longing Or A Remembered Grief For A Perceived Loss. It Is A Memory In Your Waking Dream. When You Go To Sleep, You Dream On Another Level Of Consciousness. You May Wake Up And Feel Sad Or Happy for Awhile Because The Dream Seemed So Real. Then It Fades And Is Gone. Was It Real? You Recognize This Was Only A Dream. So It Can No Longer Hurt You Or Affect You. It Is The Same With Each Life Story. Many Things Happen That Cause Us To Question Our Existence. We Hurt And Feel Loss. We Love And We Laugh. But Then It Is Gone. It Only Is Remembered As The Brain Is Activated Or Triggered In An Area. It Is No Longer Happening. We Encourage You As You Live This Waking Dream Of Life To Know You Are Safe. In The Moment Of Now Is The Only Place You Live. The Last Moment Is Gone. This Breath Is Now Gone. I Will Always Meet You There! As We Are Breathed By Love! This entry was posted in Uncategorized and tagged AYA, consciousness, Disclosure News Italia, Kabamur, Lopve, You are safe. Bookmark the permalink.